It's no secret that Sony will reveal their latest smartphones this coming IFA 2017. 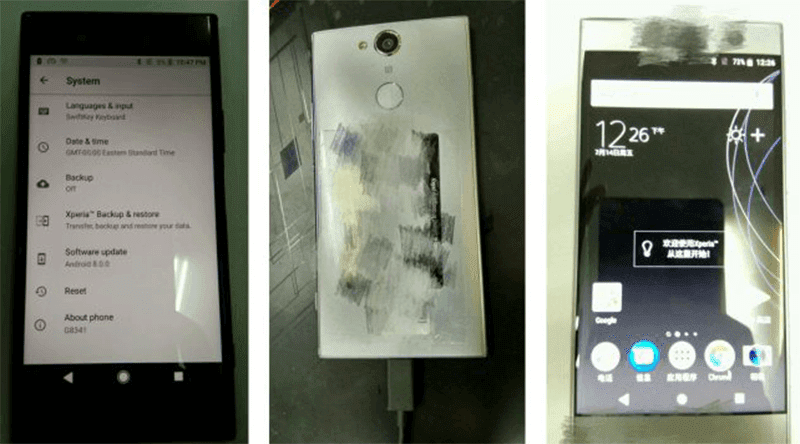 One of them could be the recently leaked Xperia XZ1 with high-end specs. According to recent leaks, the Xperia XZ1 will resembles the familiar and ageing Sony design language. There are still no signs of the full view 18:9 or 2:1 ratio screens and its still has the boxy glossy old look. But, this time, the fingerprint scanner is found at the back of the phone. The handset could feature a 5.1 inch FHD screen. Inside, specs suggests that it'll have the powerful Snapdragon 835 octa core processor with Adreno 540 graphics inside. It'll be paired with 4 GB of RAM and 64 GB of onboard storage. The camera features and specs are not clear yet, but we could expect it to arrive with the 19 MP Motion Eye camera with 960 fps super slow motion. In front, it could come with a 12 MP shooter for selfies and groufies. It will boot with Android 8.0 OS out of the box. The Sony Xperia XZ1 could be released this August 30 at IFA 2017.